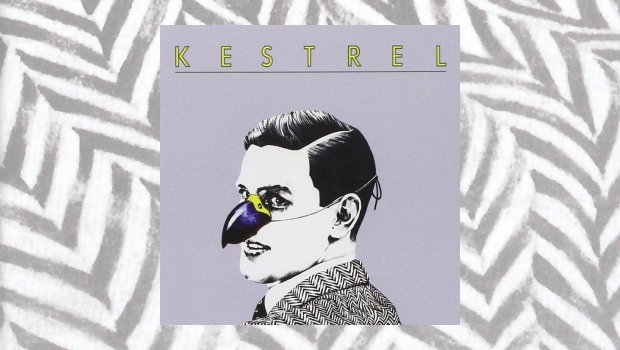 Kestrel and their eponymous debut album were, in the words of Dave Black, to suffer a series of disappointing ‘ifs’ and ‘what ifs’ and ultimately the blame for the lack of success of the band lay firmly with their inept management and record label. Sadly an all too familiar story and a similar fate that seemed to follow Dave throughout his career. Despite the often cited influences Kestrel is a somewhat curious album and to these ears the music isn’t overtly progressive and certainly doesn’t boast those flamboyant, epic instrumental workouts of the era. Not that this is a problem, more an observation. Now as the principal writer, all but one track was written by Dave Black, you can certainly detect the progressive influences flowing through the music, however it’s evident here, and as he would go on to prove, that Dave also had a keen ear for the catchy pop song. All of which is born out in the album’s opening track The Acrobat. Barring the brief 12 string and mellotron intro, those catchy melodies are immediate, forming the basis of what could easily have been a three minute pop song, however The Acrobat makes a ninety degree turn with a rhythmic mid section laced with jazzy flavourings and some fine electric piano from John Cook. What Kestrel boasts across the album is well written and presented, dare I say, AOR flavoured and ear friendly songs. Wind Cloud is a prime example with its almost care-free approach, summery feel and vocal harmonies that wouldn’t have sounded out of place on an Eagles album. Similarly I Believe In You is an upbeat pop song with catchy hooklines, followed by the delightful Last Request. At the time of its release, and had Last Request received the necessary airplay, it could well have become a classic. On the other hand, In The War, boasts some of the more adventurous dynamics from the band, with an interesting twist coming from the almost 70s disco rhythms that pop up sporadically. Overall the track is a little disjointed and ultimately incoherent but something that, with time, could have been moulded into a mini-epic. Take It Away returns to the pop/rock sensibilities, again with the vocals being a strong feature. Swirling Hammond and distant guitar introduce the only track not by Dave Black, however despite the bold opening John Cook’s End Of The Affair is an enjoyable, fairly lightweight ballad, interspersed with some tasty guitar. Concluding the original album is August Carol, which gets three outings on this Esoteric Recordings expanded edition. Curiously the single version, from the expanded disc, starts at the end of the drum fill that leads us into the middle instrumental, as opposed the meatier, riffy song version that concludes the original album. I don’t know the origins of the single release, but this had to be the B side, as not only is it instrumental, with a swirling Moody Blues-esque mellotron section, but is then followed by a lengthy guitar break. Personally I found this to be a highlight from the album and one of the few tracks that reminds us of Dave’s fine guitar work. Finally the alternative version appears to be an “early take” and the audio quality is fairly poor, however the closing minute or so gives an indication of what Kestrel might have achieved, progressively speaking. Of the bonus material – well these can always be a hit or miss affair, however barring the poorer quality of the recordings, (nothing I hasten to add to do with Esoteric’s re-mastering), the expanded second disc has much to offer. Had the medium of vinyl allowed, then you assume that both The Searcher and Part Of The Machine would have been included on the original release. The remaining tracks, excluding the aforementioned August Carol, don’t deviate greatly from the cuts that made the album, therefore are interesting, if not essential “cuttings from the studio floor” curios. Strangely the now iconic cover didn’t meet with Dave Black’s approval, or in fact with the majority of the band, although in later years he did become slightly more enamoured by it. Following Kestrel’s brief tenure Dave would go on to find greater success, firstly recording the self titled album with The Spiders From Mars (76) and later in 1978 scoring a top ten UK hit, Making Up Again, with Goldie.